An innovative new home with nostalgic features. Front flex space could be an office, studio, gym, bedroom or guest quarters. Open living, dining & kitchen areas. Large luxury master suite in back. Tall ceilings & big bedrooms w/walk-in closets. Beautiful cabinetry & built-ins. Upgraded lighting & plumbing fixtures. Luxury finishes throughout. Extra deep & wide garage. 2 covered patios. Fully landscaped yard adjacent to open space. High efficiency, elegance & atmosphere. Discover the details now. 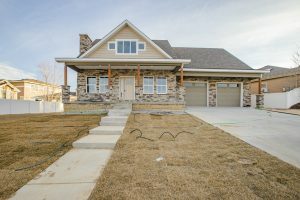 Fall in love with this wonderful, spacious home on its big corner site. The kitchen has warm finishes, granite counters, stainless appliances & double ovens. This big beautiful home opens to a large great room with a corner fireplace. Walk upstairs to the loft for additional activities. 2 master suites. Double doors access the spacious owner’s suite w/a huge walk in closet/dressing room. The second suite has an attached bath & walk in closet as well. Lots of storage space. Expanded patio & walks. 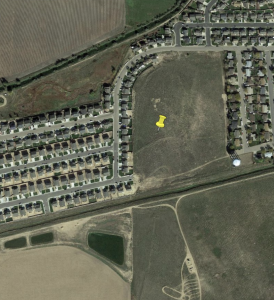 This is an opportunity to develop a premier residential subdivision with 83 engineered residential lots in an annexed hill top parcel on the west side of La Salle, south of Greeley. Includes well on site for a non potable water source. All engineering is complete. There are 360 degree picturesque views of mountains, river and plains. Sunsets and city lights are outstanding from here. Ridge location allows for walkout bsmts on many lots. 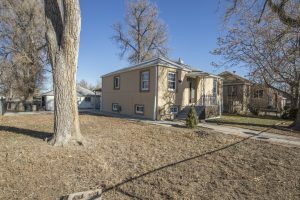 40 minutes from DIA, small town amenities, country setting. This open floorplan provides useful options. 2 master bedrooms. You’ll love the finishes. 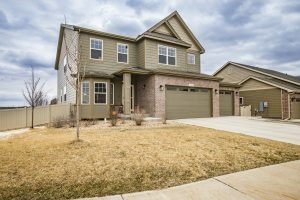 Wood floors, an abundance of alder cabinetry w/42 inch uppers, granite counters w/porcelain & ceramic backsplash, stylish plumbing & lighting fixtures, lots of closet spaces. Tall vaulted ceilings in the great room, kitchen & dining room. Big utility room & oversized garage w/8′ door. 9′ basement height. 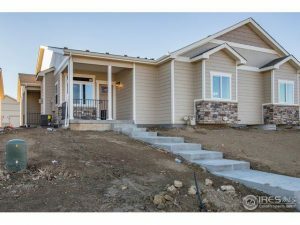 There are 4 other patio homes currently being built. Ask about the finishes and color selections. Remarkably well built with double block construction and a recent & complete exterior stucco job. Big fully fenced yard, garden lower level. Upgrades include a 22’x9′ covered back patio w/new concrete extending to the curb. It can double as a parking area/carport. New fence, new roof, rain gutters, new vinyl windows, new water heater, new stove, brand new interior paint, beautifully refinished hardwood floors, New ceiling fan.